I feel like I am always trying to figure out a cute and fun gift to give all my girlfriends. Whether it be for the girls at the office, your besties from church, or your sorority sisters for life, they all deserve the perfect gift. I believe a handmade gift is the most perfect gift to give. When I receive a handmade gift, I know someone sat down and took the time to create something meaningful with their hands especially for me. 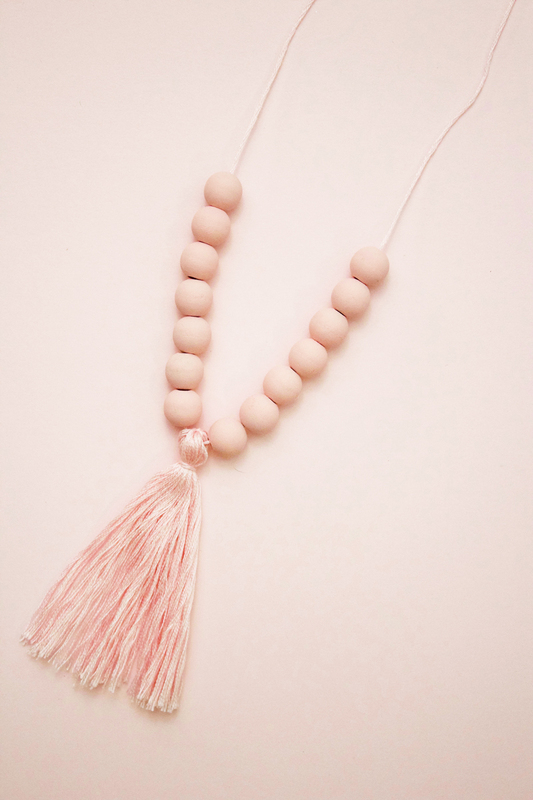 So that’s why when I came up with this tassel necklace DIY I knew it was perfect! Not only is it a simple, loving handmade gift, but I can customize it to each girl! Here are a few more fun and flirty Galentine’s ideas! 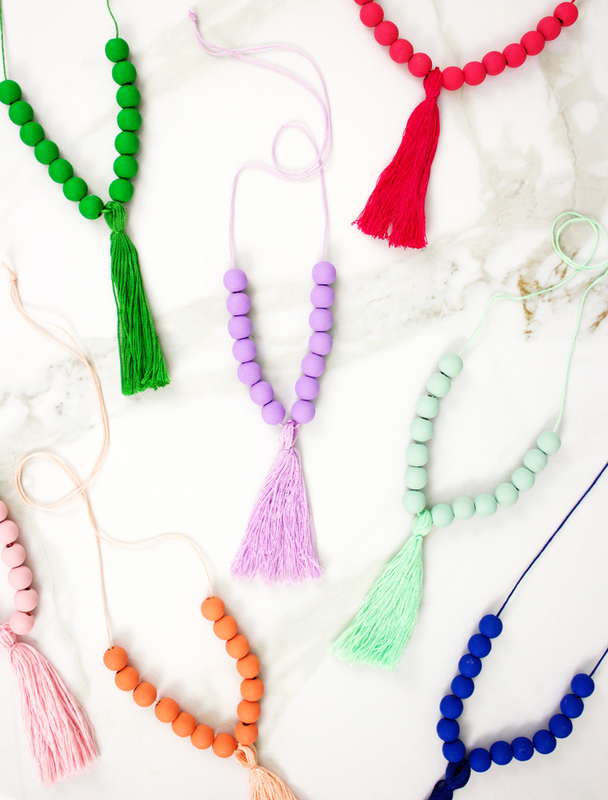 You have the perfect gift with this tassel necklace DIY, now you just need the fun. 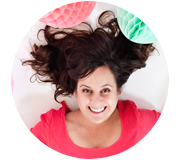 Here are a few fun ideas to make this year Galentines over the top! I love these pucker up marshmallow lips or these they are perfect for girls night! This easy and fun tassel necklace DIY is my go-to gift this year for all my best gal pal, plus I can still personalize each one. With each necklace the color combinations are endless. And if your friend is anything like me you may have to make one of every color, because trying to decide my favorite would be impossible! 1. 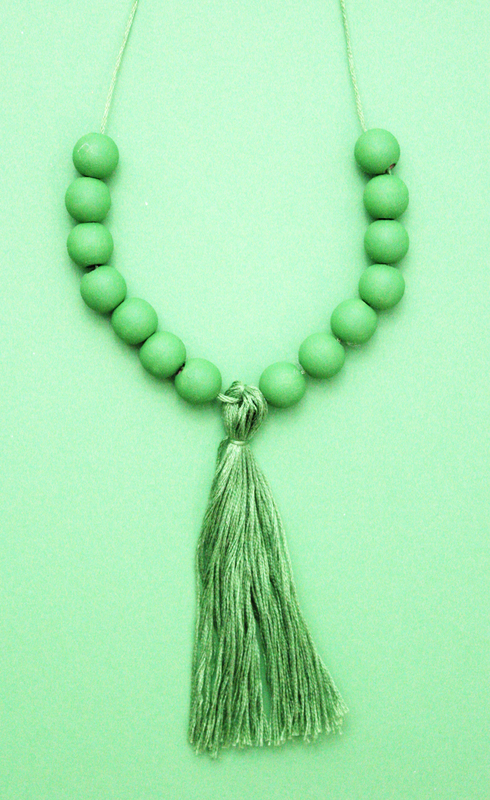 First, to make this tassel necklace DIY, you will need to use paint your wood beats with your paint. 2. While the beads dry, create your tassels. To create the tassel, you will need to take your skein of embroidery thread and trim off the bottom. I like to fluff my tassels by using a small comb. This gives your tassels a little more sass. 3. Next, use an extra piece of thread and tie around the top of your thread to create a tassel hoop. Make sure you tie this super tight and a couple times. You don’t want your tassel to come undone. 4. Finally, use an extra piece of embroidery thread to string all your beads and tassel to create your necklace. The great part about this, is you can make it any length! 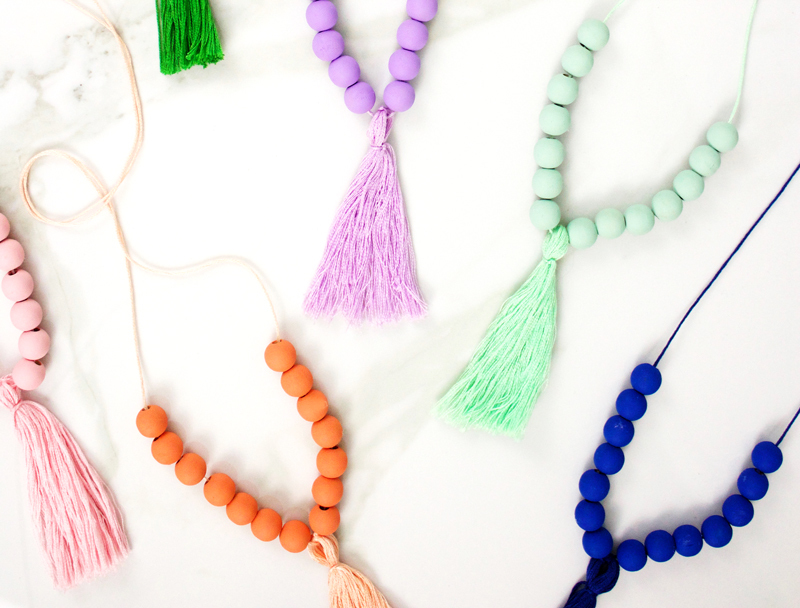 Let us know in the comments what your favorite tassel necklace DIY color is? Like I said before, it’s hard for me to choose! So I’ll just take one of each!